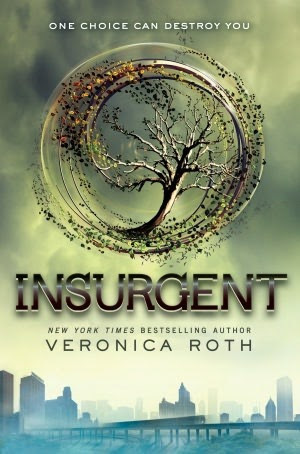 While Divergent took me around a week to finish, I read Insurgent in just over 24 hours! It's safe to say, then, that this is definitely my favourite out of the two. There were so many occasions in which I felt absolutely compelled to read on, and I hated having to emerge from my Kindle to do things like sleep! The stakes are even higher in Insurgent, and the plot is a lot faster. 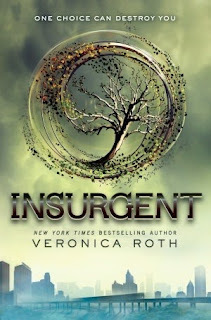 Many of the events which happen at the end of Divergent are brought into wider context and are addressed in some fashion, and Tris must figure out ways to deal with the repercussions of her actions. The results are mind-blowing, exciting and, occasionally, tragic – I lost count of the amount of times I muttered, 'Oh my God' and fist-punched the air! And I continue to love these three-dimensional characters; particularly Four. Like Tris, I crave his presence and savour their interactions. Their romance is probably my favourite out of any young-adult novel I've read (and, for once, there's no love triangle!). There are also many new faces, as the reader is transported directly into the heart of new factions (and non-factions) only mentioned in Divergent. I truly admire Veronica Roth for creating such a world. It's unique, well-timed, full of wisdom, wit, intelligence, and it's completely unpredictable. Plus, with Insurgent, she's managed to accomplish what a lot of authors haven't – she has composed a central novel in a trilogy even better than the first. Why, oh why, isn't Allegiant out until October? I need more... stat! I have a serious Post-ridiculously-great-read Hangover. What the hell am I going to read next? !